Hosted by Bryan Chaffin from The Mac Observer. 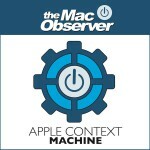 Apple Context Machine is a weekly in-depth look at Apple and the tech world from Bryan Chaffin, editor-in-chief of The Mac Observer with special guests from the tech world. Hosted by John Martellaro from The Mac Observer. 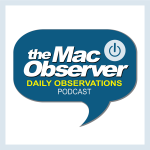 Join The Mac Observer's John Martellaro every week for fascinating interviews with tech industry pros and luminaries. It's more than a show about what they do; it's about who they are. Hosted by Dave Hamilton & John F. Braun. Dave Hamilton and John F. Braun come together weekly to answer your question and discuss things of interest to Apple and Mac geeks, yet present them in a way that's both entertaining and informative for the average listener. Hosted by The Mac Observer. 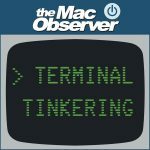 With Jeff Butts from The Mac Observer as your guide, head into the Terminal and learn your way through the UNIX underpinnings of macOS. Join Kelly Guimont each weekday as she assembles a panel of TMO staffers and contributors to talk through the stories and news of the day. Quick, informative, and entertaining. Make Daily Observations a part of your day! This week we're diving in deep with authors and writers in the Apple community. Today science fiction author John L Forrest joins Jeff Gamet to talk about writing novels and short stories, his process for bringing his ideas to life, self publishing, and more. This week we're diving in deep with authors and writers in the Apple community. Today David Sparks joins Jeff Gamet to talk about his earlier Apple-focused books and his transition into self publishing with the MacSparky Field Guides. 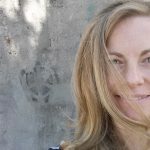 Dr. Kiki Sanford is a neurophysiologist with a Ph.D from U.C. Davis. She's a popular science communicator and creator of This Week in Science podcast and radio show. She grew up in the country, and that ignited her interest in wildlife preservation. Early in her career, she obtained her B.S. degree in conservation biology, a field that covers animals, their environment and how humans impact them. Finding post-doctoral research unappealing, she shifted to her current role as a brilliant science communicator. We chatted about her prior research into the brains of small birds, how they store memories, and how they navigate during migration. We also delved into neuro-gaming as well as the perils of being exposed to sophisticated AI agents. After hearing this show, you'll want to become a scientist too! This week we're diving in deep with authors and writers in the Apple community. Today long time author, journalist, and blogger Ted Landau joins Jeff Gamet to talk about his history in the Apple community, writing one of the top selling Mac titles, running his own Apple-related website, and more. MGG 630: Label Your Cables! This episode is all about geeks helping other geeks. First it's tips from you helping us and other listeners, including a way to bypass macOS Sierra's network-mounting password dialog! Then we help you with importing just your Health data, musicians using an iPad at gigs, migrating data from one iPhone to another with an older Mac, managing different photo clouds and much more. Join us by downloading and enjoy! The new MacBook Pro's Touch Bar looks great, but it can't be the primary way for accessing an app's features. Bryan Chaffin and John Martellaro join Jeff Gamet to look at how the Touch Bar may fit in to third-party app developer's plans, and why it may not get adopted as quickly as users may like despite its coolness factor. They also look at the results from TMO's Twitter poll for new Mac buyers. Apple's new Touch Bar MacBook Pro carries the "pro" moniker, but it isn't clear exactly who the new laptops are targeting. Dave Hamilton and the Maccast's Adam Christianson join Jeff Gamet to share their thoughts on who will want the new MacBook Pro, what could be coming in future models, and what pro users are saying about Apple's latest laptop offerings. iTunes Song Ratings are back in iOS 10.2 beta, and Bryan and Jeff are stoked, even if it's not perfect. They also talk about the pushback gets when Apple pushes the envelope with its products. They cap the show with a look at MacBooK Pro's Touch Bar being a double down against making a ToasterFridge. Vigilantes may be cool in the movies, but no so much in the App Store. Kelly Guimont and John Martellaro join Jeff Gamet to offer up their take on Apple pulling an app that alerted iPhone users to crimes in progress, plus they have some thoughts on the death of the startup chime in the new MacBook Pro models. After the Dyn DDOS attack, The Mac Observer started looking into claims that HomeKit smarthome devices were protected from participating. Today Dave Hamilton and Bryan Chaffin join Jeff Gamet to look at what they found. Hint: Internet security is a complicated thing in spite of HomeKit's strengths. Mark Fuccio has had a distinguished career in tech. He started with an B.S. in Electrical Engineering from M.I.T. 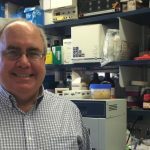 After graduation, he joined Philips Labs in Briarcliff, NY. He's been a marketing manager at Silicon Graphics, Inc. and a senior director at Drobo, Inc. for Products and Markets. We chatted about the evolution of Unix workstations, the early days of Unix GUIs, how CPU and GPU technology advanced, how Apple moved to (BSD) Unix and Intel and turned the tables on the workstation industry (along with Microsoft). We also chatted about the philosophy of marketing as well as technical issues related to storage—and how Drobo solved those problems. Mark tells the story about a career in which he followed his vision, worked with startups, and created his own path to this day. Geekfest! Apple's "hello again" media event felt like it was missing something, and that's really bothering Bryan Chaffin and John Martellaro. They join Jeff Gamet to discuss what they think may have been planned, but pulled at the last minute, plus they question how much time Apple devoted to the new MacBook Pro's Touch Bar. Considering migrating to a new Mac? How about thinking of a new Cable Modem? What about managing Wi-Fi speeds with lots of Apple devices which share their Wi-Fi networks via iCloud? Your fellow MGG listeners had those questions until they asked here and your two favorite geeks answered! Listen to John and Dave discuss all of this and more, including sharing some tips from you, too! Apple and Microsoft are taking different paths into computer touch interfaces. John Martellaro and Dave Hamilton join Jeff Gamet to look at the differences in Apple's Touch Bar and Microsoft's Surface Studio, plus they explain how USB-C and Thunderbolt 3 fit together. 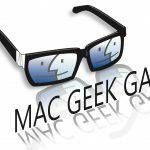 ACM 382: How Pro Are the New MacBook Pros? Apple just announced new MacBook Pro models, and Bryan and Jeff talk about their pros and cons. In particular the "pros" part, because while these devices are powerful, they question whether they are really that pro at all. They also talk about the new TV app for Apple TV. Apple used its "hello again" media event to introduce new MacBook Pro models and a new Apple TV app for consolidating the shows we watch in a single interface. Dave Hamilton joins Jeff Gamet to talk about Apple's announcements, what was exciting from the event, and more. Apple's fourth quarter earnings report numbers came out yesterday, and some say they look good while other say they look bad. Kelly Guimont and John Martellaro join Jeff Gamet to share their perspectives on how Apple is performing, plus they offer up their reactions to Microsoft's just announced Surface Studio ahead of tomorrow's new Mac launch event. Give us enough time with an app we really like and we'll find something to improve. Bryan Chaffin and Dave Hamilton join Jeff Gamet to talk about Apple's iMessage platform and Messages app, and Bryan has some interface improvements he'd like to see. They also look at the CD collection Apple gave the media with the original iPod, and Jeff notes Apple's Apple ID Two-Factor authentication setup bug seems to be fixed. 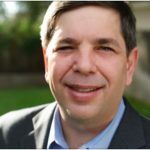 David Sparks is a business attorney, Macworld author, podcaster and all around Apple product expert. He's one of those people who started on one path—an aerospace engineering student—then changed gears to become a law student at Pepperdine University. David tells the story of his law school years and how people often think of law school as more onerous than it really is. His original plan was to be a prosecutor, but then he found that business law for small companies was much more satisfying. We chatted about his interest in all things Mac and the dawn of his Mac Power Users podcast with Katie Floyd in 2009. Today, David is a popular speaker and a fixture in the Mac Community with 346 podcasts and several books. Come take a career journey with me and David. Last Friday we all learned first hand what happens when hackers decide to target DNS hosts with a distributed Denial of Service attack. Dave Hamilton and The Maccast's Adam Christianson join Jeff Gamet to look at Friday's attack and how the Internet of Things played a major role in the incident. They also talk about how HomeKit devices may also be susceptible to hackers.